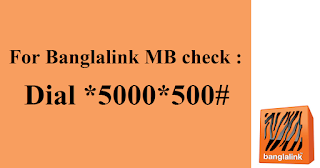 How to check remaining Banglalink Internet balance? 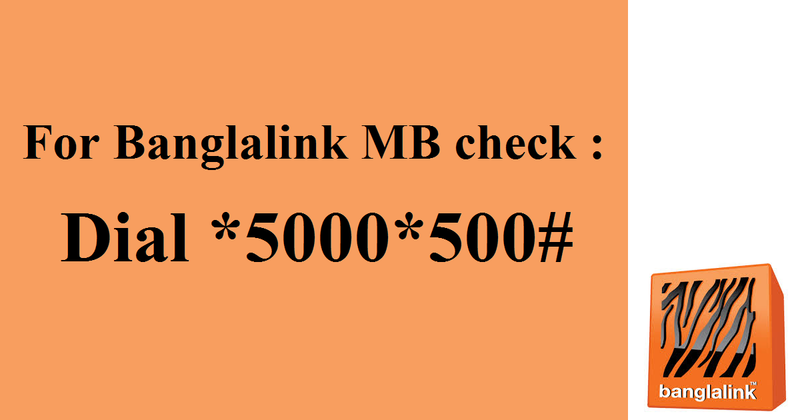 For BanglaLink MB check , dial *5000*500# (click to dial) . This will show remaining Internet MB balance. Banglalink was launched in February 2005. With over 30 millions subscribers over a decade, Banglalink was the catalyst in making mobile telephony an affordable option for consumers in Bangladesh. The initial success of Banglalink was based on a simple mission: “Bringing mobile telephony to the masses”, which was the cornerstone of Banglalink’s strategy. Banglalink provides equal opportunities to employees and has always shown zero tolerance for any non-compliance activity. As a result Banglalink’s HQ became the first certified Green Office by World Wide Fund for Nature (WWF) in Bangladesh. The company has relatively a flat organization which enables employees to collaborate and work closer across the organization. Banglalink is now working relentlessly to bring digital world to each and every customer to build a true digital Bangladesh.